MAKANI THEMBA WAS THE FOUNDING EXECUTIVE DIRECTOR OF THE PRAXIS PROJECT FROM 2002 UNTIL 2016. UNDER HER LEADERSHIP, PRAXIS RAISED MORE THAN $20 MILLION FOR ADVOCACY ORGANIZATIONS WORKING IN COMMUNITIES OF COLOR NATIONWIDE. The Praxis Project was founded in 2002 by Makani Themba to “forge a more capable, diverse, effective, connected and visionary cadre of changemakers worldwide.” Helping communities use media and policy advocacy to advance health justice under her leadership, The Praxis Project raised more than $20 million for organizers working in communities of color nationwide. In May 2002, Robert Wood Johnson Foundation (RWJF) established a national program office for Policy Advocacy on Tobacco and Health (PATH) at the Praxis Project in Washington D.C. Makani Themba served as the program director for PATH, a $3.8 million initiative that was part of an effort to strengthen the voice and capacity of communities of color in the tobacco prevention and cessation movement. From 2005 through 2012, the Praxis Project worked on combating the epidemic of childhood obesity in low-income communities of color, where there is less access to healthy, affordable foods and safe places for children to play. Communities Creating Healthy Environments (CCHE) was a RWJF national program funded to address childhood obesity through grassroots community organizing and policy advocacy. CCHE strived to grow the field of health organizing by promoting networking among community groups, local organizers, and other stakeholders interested in combating health injustice and towards the creation of a sustainable network of alliances. With targeted philanthropic support, The Praxis Project has provided technical support to strengthen civic engagement for networks including Black Lives Matter, Push Back Network, Right to the City, and the National Coalition for Black Civic Participation. In the aftermath of Hurricane Katrina, the Praxis Project helped form the Katrina Information Network (KIN) with support from Tides and 21st Century Foundations to address rapid response communication and advocacy infrastructure needs among grassroots voices for a just and equitable recovery. KIN created a website to help families and friends locate missing loved ones. The KIN list included nearly 200,000 names in early 2008 and supported more than 20 local groups working on recovery advocacy and information. “Praxis” (prak’ sis) n: 1. The practical application of theory; action informed by theory. 2. The synergy between theory and action; the highest form of practice. And 3. The exercise or practice of an art, science or skill. The Praxis (prak’ sis) Project has been an innovative movement intermediary for health and justice policy and communication. Makani Themba was the founding executive director of the Praxis Project from 2002 until 2016. Under her leadership, Praxis raised more than $20 million for advocacy organizations working in communities of color nationwide. 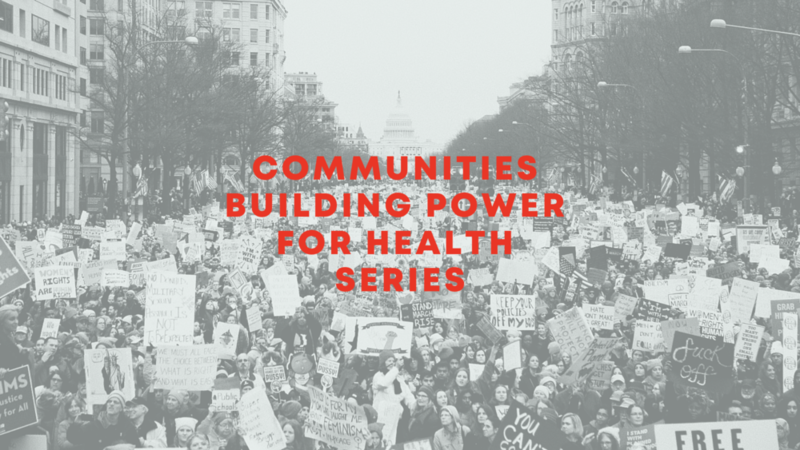 These initiatives included CCHE, an initiative of RWJF, to support policy advocacy to advance healthy food access and safe places to play in communities of color, and Building Capacity Building Power, a partnership with Ford Foundation, to support grassroots civic engagement.